By: Chip Thurston, Chief Architect/Technical Director, Crystal Group Inc. Autonomous vehicles – from commercial driverless cars to military unmanned vehicles, and everything in between – require computers capable of working flawlessly in all environments they will encounter. Most if not all of these environments are inhospitable to traditional computers and electronics, and require rugged solutions. Self-driving cars and their onboard computer and electronic systems are likely to face extreme shock and vibration, temperature highs and lows, and a wide variety of harmful elements, including dust, dirt, humidity, fog, rain, snow, and ice – just from every day use. Autonomous military vehicles typically confront even more extreme environments, ranging from high altitudes to deep water. All these environments and elements can deal a devastating blow to consumer- and enterprise-level computers and servers, which are designed for use in temperature-controlled office environments. In sharp contrast, rugged computers and servers are engineered from the ground up to withstand even the most extreme environmental conditions, helping to ensure they continue to work reliably over a long operational life regardless of the operational environment. 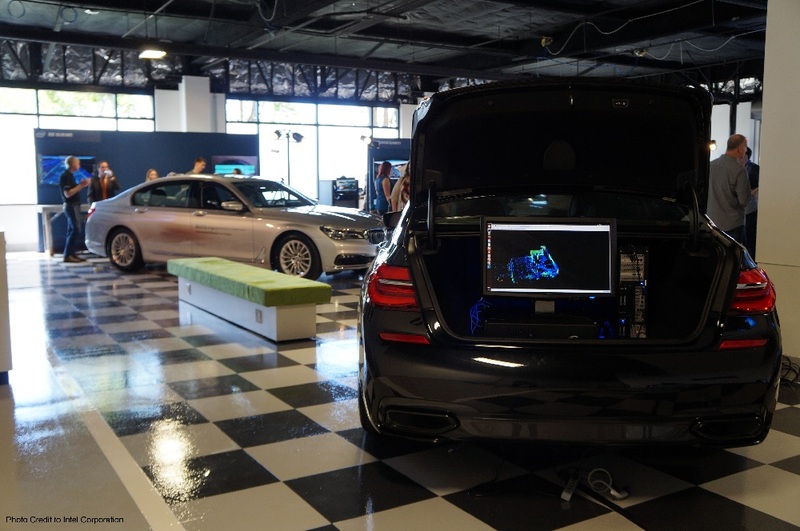 Technology firms, automotive manufacturers, military organizations, and defense prime contractors recognize the need for, and value of, rugged computer and electronic systems in autonomous vehicles. 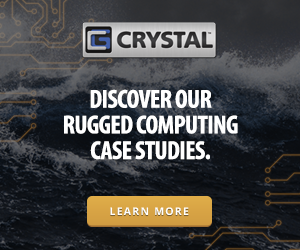 Aerospace and defense, automotive, and commercial industry leaders have approached Crystal Group for off-the-shelf or custom-designed rugged computers and servers for autonomous vehicle (AV) applications. Crystal Group has developed rugged systems for military unmanned and autonomous platforms, including the U.S. Air Force MQ-8 Fire Scout unmanned autonomous helicopter, and brings that same expertise and rugged innovation to commercial driverless cars. Crystal Group engineers designed the company’s highly reliable Crystal Group RIA™ (Rugged Intelligence Appliance) line, AVC0161 Ai & Autonomy Solution, and RS363S15F Rugged 3U Server to meet vehicle needs for robust, high-performance processing, efficient thermal management, and high-capacity data storage in a rugged, compact form factor. The rugged server, designed to withstand the rigors of the road and various environmental factors, is tested to meet strict U.S. Department of Defense-defined environmental standards, including MIL-STD-810G and MIL-S-910D. Major automotive OEMs have already selected this rugged, reliable server for use in autonomous vehicles. Chip Thurston, Chief Architect/Technical Director, Crystal Group Inc.
Chip joined Crystal Group in late 2000, holding various leadership roles in engineering. Chip pioneered advanced rugged technology for many major computing systems that are currently being used by NASA, Intel®, U.S. Armed Forces, and major automotive manufacturers. A native of Cedar Falls, Iowa, Chip holds an AA in MIS/CIS and a BA in Business Management.